Kill Team — The War Dolls - Girls Game Too! GW recently released this new Boxed Game called Shadow War: Armageddon, and although they really underestimated how popular this game would be – and thus how quickly it would sell out – my husband and I managed to nab a copy from our FLGS. 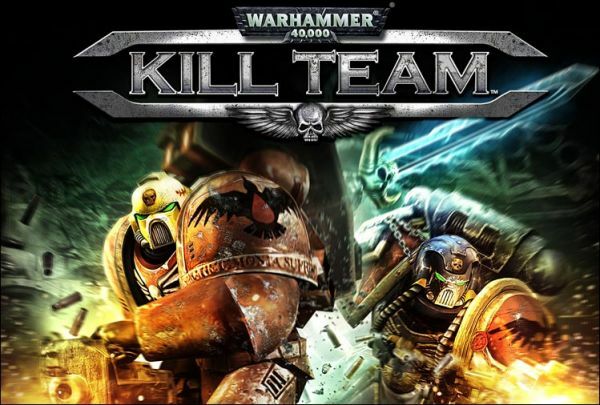 So the other day while working I saw that there was a demo available of Warhammer 40k: Kill Team. I instantly had to select download. Granted at first I thought it was the Space Marine game demo, it wasn’t until later that I realized it was a different game altogether. I hadn’t even heard of this one. The intro had a bit of a fun surprise with the appearance of a Caestus. I thought that was pretty cool. However your character is in power armor, and I think everyone will agree that not putting terminators in a Caestus is a bit of a waste of resource. 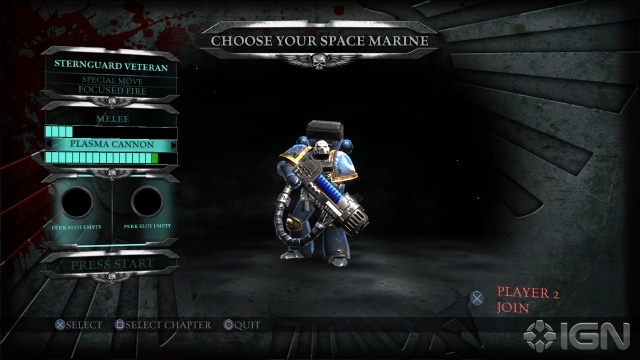 There are several different character types you can use; Sternguard, Techmarine, Vanguard, or Librarian. The former being ranged specialists and the latter melee. The Sternguard carries a heavy weapon which I thought would make him slow, so I went with the Librarian for testing. 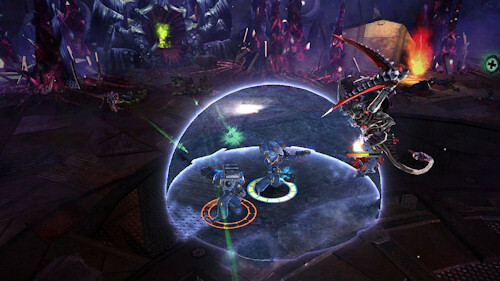 The premise of the game is an assault on an Ork Kroozer and the goal is to kill the Warboss. Since this was a demo, I obviously didn’t get a play through. The controls are ‘twin stick’ i.e. one stick moves the other shoots, which isn’t too bad, but reminded me of the old video game Robotron, which was so busy it made my eyes spin just watching it as a child. Kill Team is almost as busy, as hordes of Gretchin and mobs of Boyz descend upon you. If you die, your character starts again at certain save points. The Librarian has a power that creates a storm around him and eliminates all the foes in direct contact. It’s powered up by killing enemies. Levelling up will increase your powers/sword damage. I liked that you had choices. Lets talk interface. The game itself is a top down, 3rd person shooter. Normally I could get into this. I grew up on games like Zelda. What bothered me about Kill Team is that the camera would rotate seemingly at random and I had no apparent control over it. This means that my direction of movement and fire would alter. I’m not the best shot in the world, but when you start rotating the world, that complicates things for me. For sheer carnage and 40k-ness this is a pretty good game. There were never ending bolter rounds (save for the special power ups like double fire and rapid fire) so the destruction continues unabated. Unfortunately that’s all I seemed to find, and I got a little bored with it. I like puzzles and other challenges in my games normally, and I found this one lacking. The attention to detail, variety of skills and weapons, and customization (different chapter markings) were a bonus, so I still think it’s a fairly positive experience.